Just a good ole boy…never meanin’ no harm. Meet Martin Northern, who tweeted that photo, of his new tattoo. 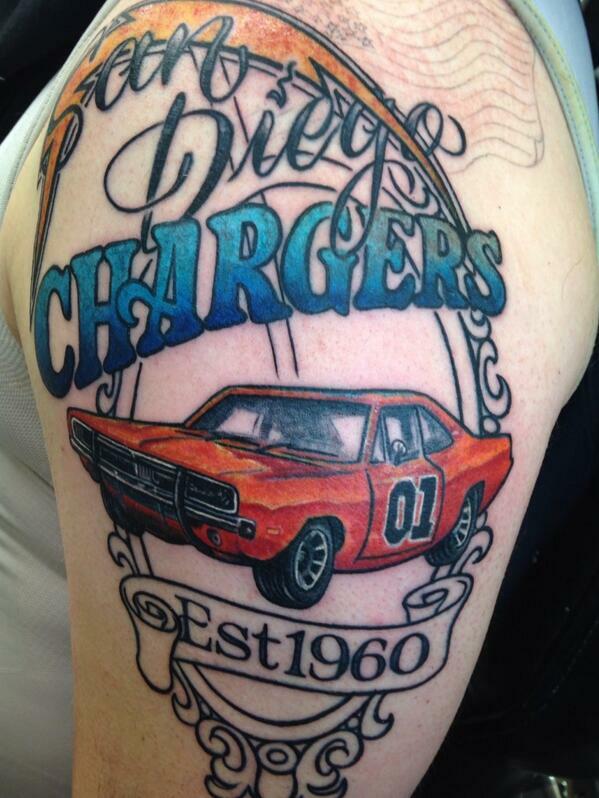 Clearly, he’s a fan of the Chargers, America, and the General Lee. Here’s what the tat looked like about a month ago. Now, he’s just got the flag to fill in before it’s done. Go Bolts. 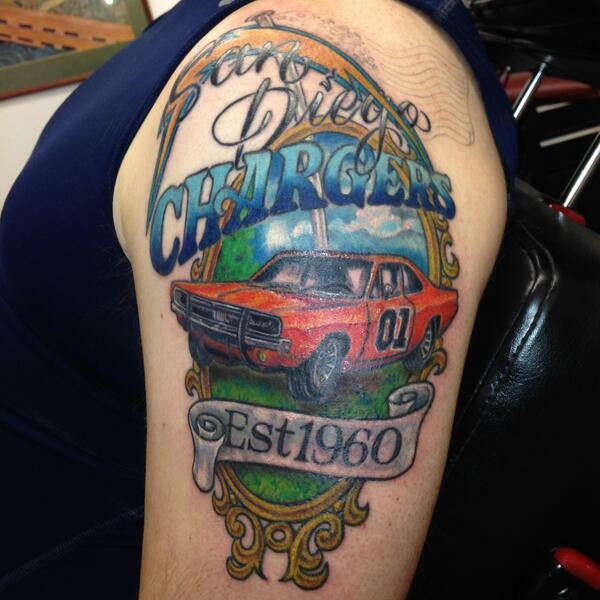 This entry was posted in Football, Tattoos and tagged Chargers, chargers tattoo, general lee tattoo. Bookmark the permalink.